Chereluș village is situated on the north-western side of Arad County. 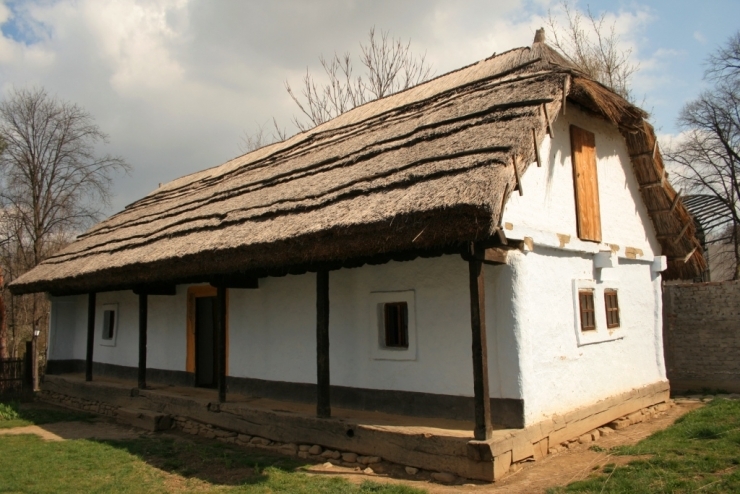 Halfway through the XIXth century, the village underwent rural systematization procedures. 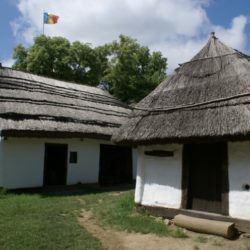 The Crișul Alb river bed, which ran 400 metres close to the village, was moved 4,5 km south of the village; as a result, the old Crișul Alb river bed carried on in the memory of village inhabitants as the The Barren Criș (Romanian: „Crișul Sterp”) area. Consequently, the settlement grew as a compact village, with parallel streets of perpendicular intersection. The village, beneficient of a favorable setting for the development of agriculture, is set on a plain area. 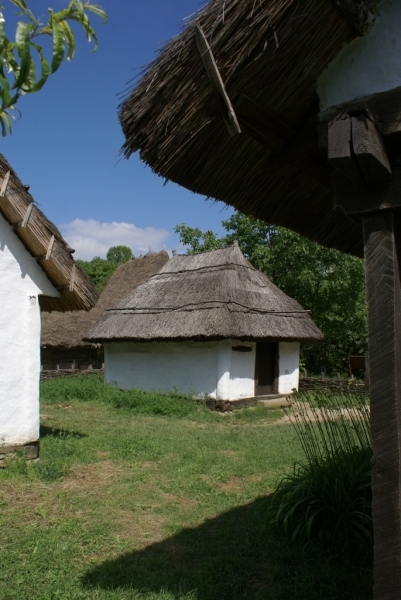 Tightly linked to agricultural labors, people of Chereluș village grew livestock – horses, oxes, cows and swine. The renowned breed of horses from Chereluș used to be sold up until 1914 at Jula for army purposes and exports. After the second World War, the fair was held at Pâncota. The horses were also used for the transport of oak and fir tree logs from the forests around the village, running from Țipaș to Hârcai. 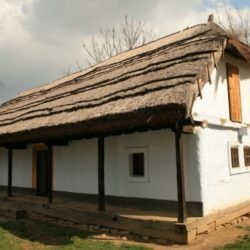 The household from Chereluș village is comprised of one house, a barn with stables and an out-building pantry called „găbănaș”. 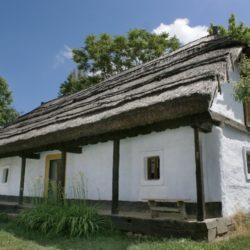 It was transferred on Museum premises in the year 1965, the last owner of the house went by the name of Herlo Ion, also known as a „master house workman and agricultor”. 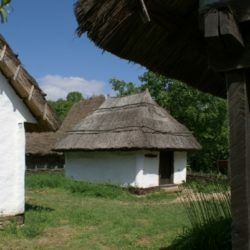 The barn building is positioned perpendicular to the house, with the narrow side facing the road. 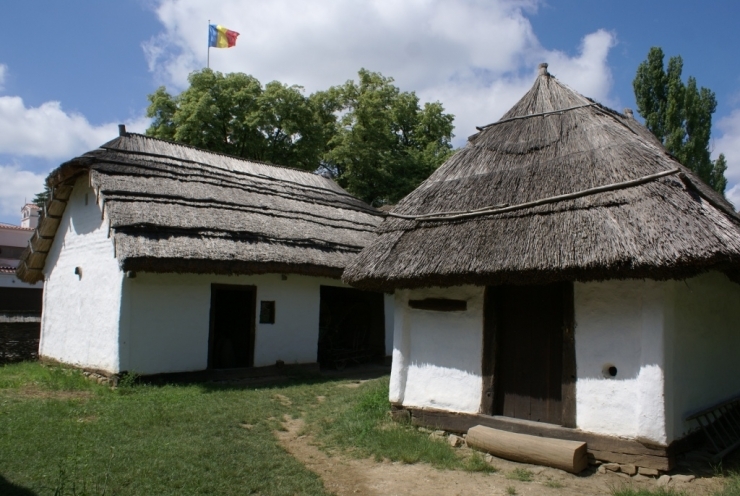 The second important annexe, the pantry (Romanian: „găbănaș”) is erected facing the entry door in the house. The household is surrounded by a woven wattle fance with corn bramble eaves. The household is a reflection of residents’ occupations and activities. 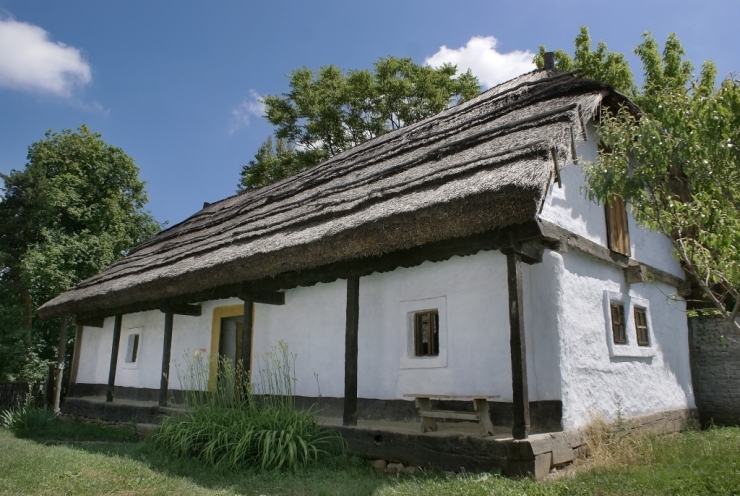 The house is built on a foundation of rock over which the floor fundament was laid and the fir tree beams glued with earth painted with whitewash. The double-hipped rooftop is covered with reeds. The plan of the house features a middle vestibule, two doublesided fireplaces to warm the adjoining rooms (the showroom on the right and the room on the left, used as a permanent living room). The two doublesided fireplaces are actually two ovens: a truncated oven built of wattles built on the ground and glued with clay, and another fireplace in the showroom, of truncated pyramid shape, built out of mud. The smoke and sparks from the vestibule are picked up by a chimney built from beams glued with earth, structured as a pyramid trunk with the opening through the roof. The interior of the house catches the eye with furniture pieces typical of the region, chests with curved lids, long benches with backrest, wall cupboards and cabinets, a bed with a canopy dressed in richly decorated hemp and wool fabrics, which shelters it from the rest of the room, similar to a baldaquin bed; rough and enameled ceramics of blue and red colour acquired from Leheceni, Hălmegel and Ineu markets; brightly coloured fabrics: white cotton towels with decorations set around the house and woolen bed spreads laid on the beds.